Considering the United States seemingly has been at war somewhere, declared or not, for my entire life, despite protests in the Sixties to the contrary, this book provides multiple perspectives on the business of perpetual war. 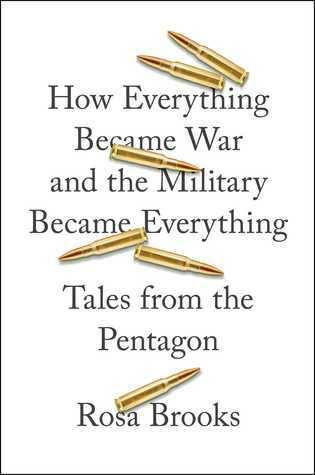 The author worked in prominent Pentagon capacities and provides real intimate details of what it was like to live in that particular bubble. 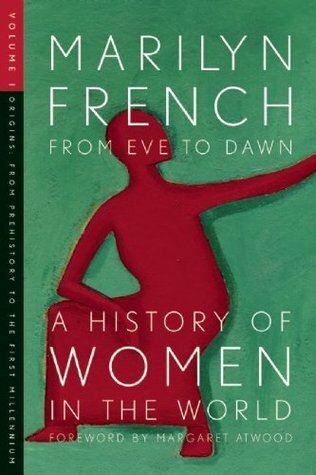 From Eve to Dawn: A History of Women in the World by Marilyn French (2008) Volume 1: Origins. 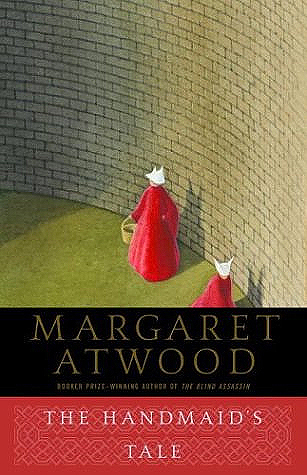 Foreword by Margaret Atwood. 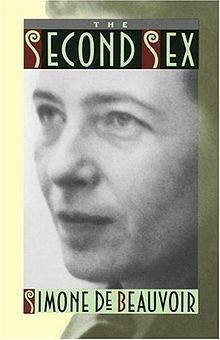 Marilyn French has a smooth writing style that is easy to read but still packs a punch by her coherence and context for absorbing new information. The b ook is divided into 3 basic parts: 1. Parents, 2. The Rise of the State, 3. Gods, Glory, and Delusions of Grandeur. Under the States part it is a treat to go back all the way to Peru, Egypt, and Sumner. Other nations include a chapter on China, India, Mexico and a concluding analysis on the State in the abstract. She adds descriptors to identify the nature of the respective states: Secular=China, Religious = India, Militaristic = Mexico. Under the Gods portion she covers Judaism, Greece, Rome, Christianity, Islam. There are number of supplemental notes, a glossary, a bibliography, and and index as well as some maps. 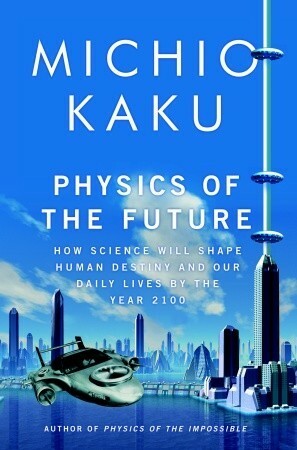 Physics of the Future: how Science will Shape Human Destiny and Our Daily Lives by the Year 2100 by Michio Kaku (2011) — author of Physics of the Impossible. I must confess I did not end up reading the whole thing cover to cover. I started at the back with his conclusion, recognized his complete naivete of the real world, and excessive optimism due to (I assume) having been a gifted scientist and achieving high status without having ever had to be on food stamps or be a retail clerk. He was a co-founder of string theory, so that kind of says a lot by the fact that most people have heard of it, even if only because Sheldon Cooper of The Big Bang Theory used to research this aspect of theoretical physics. We are all kind of used to the “since you like that, you might like this” helpful features of shopping sites like Amazon or GoodReads recommendations. In Library and Information Science this type of search is sometimes referred to as a “pearl growing” strategy. You find a known, truly amazing author (or musician in Pandora for example) and an algorithm figures out what other things you might like. Pandora has the nice added feature of thumbs down so if you get something that is really off the range, you don’t have to suffer more of that same offering. 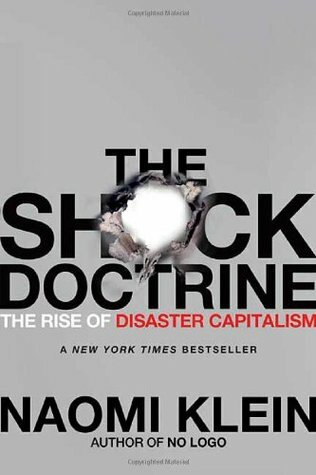 From the inner jacket blurb: “Klein traces back the intellectual origins of disaster capitalism back to the University of Chicago’s economics department under Milton Friedman whose influence is still felt around the world.” And not in a good way. This is the cabal that persuaded Reagan et al that trickle down theory was a sensible plan. Not sure if they did so maliciously or for fun, or just some esoteric playing but with real world consequences. It is a long hard read. Descriptions of torture of prisoners is just one example. After the horrific photos were released and having been shocked to learn it was not Americans being tortured but Americans doing the torturing, I was dumbfounded. My dad was a bomber pilot in WWII and while the Geneva Convention wasn’t completely complied with, and he easily could have been killed, I don’t think I ever heard of Nazi’s treating POWs like we treated Iraq POWs. That is to say, brutally, lawlessly, and criminally. Yet Bush and Cheney and Rumsfeld are free to enjoy doing a little painting or whatever enjoying the profit of the 40 million or more that Halliburton made for Cheney off the no-bid contracts for the war supplies. I would love to see an audit of there costs versus what they charged the government. I’ll bet it would show such blatant overpricing that it would even make Republicans cry foul.